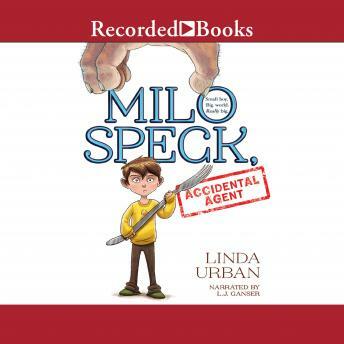 When magic came to Milo Speck, it came in the form of a sock. "Figures," said Milo. So begins Milo's adventure in Ogregon, a place populated with hungry ogres, dino-sized turkeys, kidnapped kids, and-Dad? What's Milo's regular-old salesman father doing in Ogregon? For that matter, how did a shrimp like Milo end up there? He's no hero. He can't help those kids. Right? But there's no time for Milo to get the answers. After all, hungry ogres like nothing more than a tasty bite of boy, and what kid is going to stick around for that? A fast escape back home to Downriver is all that matters-until Milo realizes that what's really afoot in Ogregon goes far beyond an ogre quest for snack food. And his own family may be somehow mixed up in the dastardly plot. But what can a small boy in a very big world possibly do about that?